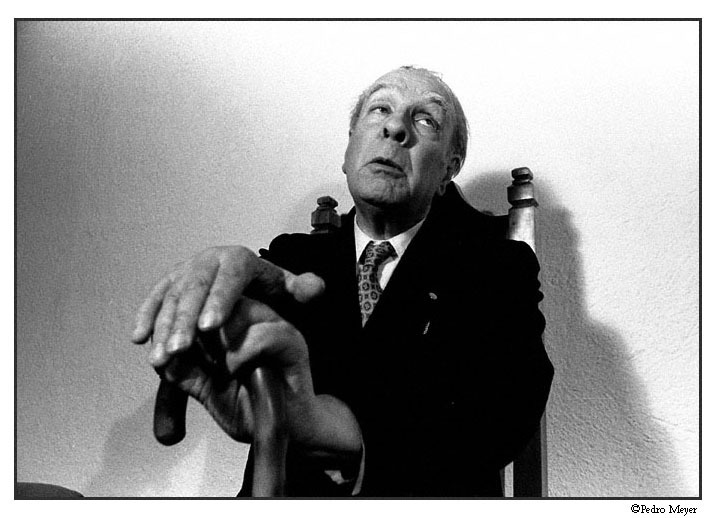 I really can't emphasise how fantastic Jorge Luis Borges' stories are. Everyone with even the mildest creative streak should at least own a copy of Labyrinths. Many of his stories are referenced as design analogies. On Exactitude in Science (where Broges follows the latin tradition started with Cervantes of denying authorship) is probably the most heavily used, often being compared to Marshall McLuhan's theories and it, itself has gone on to inspire many pieces of fiction; Michel Houellebecq's forthcoming novel - La Carte et le territoire - pays direct homage to it. My favourite has to be The Library of Babel which describes an infinite library containing all possible books in every possible language in all possible editions ever published. Later, William Goldbloom Bloch wrote The Unimaginable Mathematics of Borges' Library of Babel - an equally impressive read calculating some of the numeric and spatial properties of the library described by Borges. The story raises so many questions - if misprints of a certain volume are counted as an individual volume, what would a misprint of the misprint be? A new volume? And how long before the misprints became the original or were misprinted as to be identical to other volumes? And what of the library catalogue? Dante's paradox was that any work created to circumscribe and encompass the works and lives of humanity would necessarily become part of it and so never be able to fully describe it's subject. Any system created to describe another system becomes part of that system. Any catalogue of the library would have to be counted as one of the volumes and thus catalogued itself. In the last year there's been a little bit of a resurgence of interest in Soviet design and architecture. Two books in particular have been sparking my imagination. 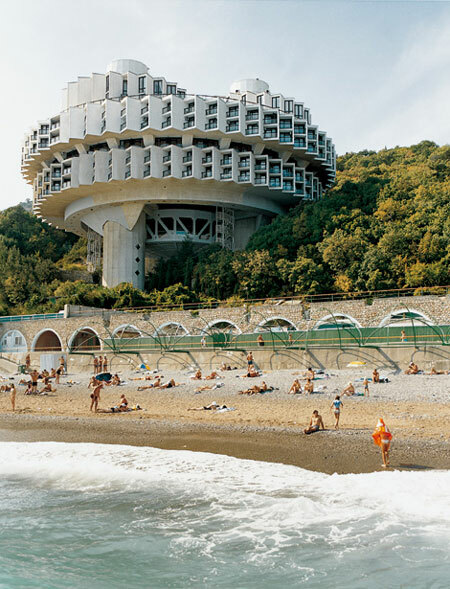 CCCP: Cosmic Communist Constructions Photographed by Frederic Chaubin and this week. Made in Russia: Unsung Icons of Soviet Design by Michael Idov. The main driving factor behind much of the design work was to out-do the Americans, obviously, and both books point to this being their main failing; where American design was concerned with appealing to the consumer, which meant that it had to be consumable (more or less) Russia had no consumers, only desperate but unwilling recipients. It was essentially the post-WWII bureaucracy of Soviet Russia that made progressive design impossible. There was no market for competition and then all products had to be approved by the Soviet Industrial Design Institute, who's only priority was out-doing the Americans... and this led to some simply amazing buildings and some insane designs. It's a shame that Soviet design is so often analogised with the AK-47. It is after-all, the world's most proliferated firearm. And there are myriad articles and books lauding it's practicality and simplicity - which is probably why it is responsible for more deaths than any other single weapon. Less people are aware, for example that Soviet designers invented the ribbed tumbler, a design that has lasted forever, the plug-in water heater and Tetris. The AK47 survives because it sat perfectly with the ideology of those who sanctioned the Soviet design canon. 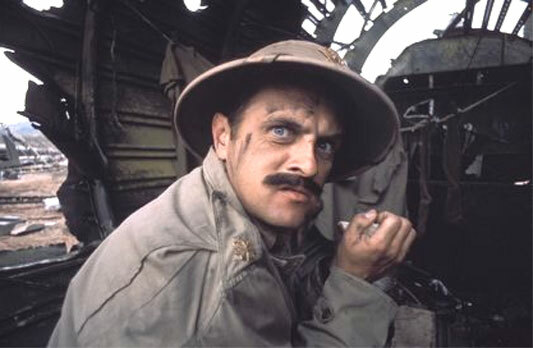 It was brutal, cheap, manufacturable and recognisable. Soviet design didn't value human life and convenience as much as it valued the raw objectives and ideology of it's designs. It's interesting to think that it's only just now that things are changing. Take the official symbol for the Rouble (right.) Until 2007, Russia simply didn't have one until in 2007... '26 of the best design firms in Russia chose a design among themselves, and agreed to make it a contractual obligation to use it as the symbol for the ruble in their work.' This ended up making it the de facto currency symbol of Russia without any referral to a political or bureaucratic body. I'm almost finished with it now. And it's actually exactly 4 times better than I thought it would end up being, so as you can imagine, I'm jolly chuffed. I'll link some footage of it and some sort of description nearer to the time of it's exhibition. New in WORK: The Universe Never Sleeps, Living With Robots. I've embedded the video that I originally made for the Living With Robots onto it's page. Although at the time, as an initial response, I don't think the video was a clear enough about the reasoning behind my speculation over the human/robot relationship, it works very well when coupled with photographs of the sculpture to provide an atmosphere of what this lonely future might be like. I've also uploaded work from the Science and Society research project that I have called The Universe Never Sleeps. The title is based on the idea that though we may turn our back on the universe and it's wonders, it never turns it's back on us. There you can find the final film I made as well as an explanation of it. dominant narrative form, or can we have both? I've returned from my now near-ritualistic trip to Venice for the Biennale. I had a couple more days this time so got a real chance to spread myself across the venues and really get in to it. There was, as ever, some really fascinating and interesting stuff on display, spread out between some completely incomprehensible stuff and a lot of it was impressive simply for the act of it's production. As always, more photos on flickr. I spent the day with Elliot and others filming his new environmental-based projects. The project is designed to put an alternate spin on the motivations behind various types of carbon neutral energy, appealing to advetisers and entertainment businesses. I'll link the video in once it's finished. Forgot I wrote this ages ago. 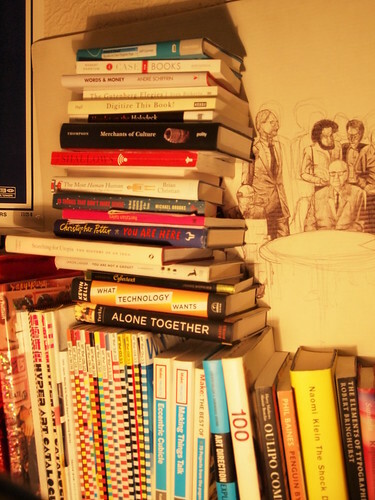 And since more people than usual are asking me for books recommendations these days there are some there. The dark matter project (Science and Society) became known as The Universe Never Sleeps. I'm not sure why. It was very late and everything needs a name. I made the film, but have since realised that the film only works when presented in the context that I presented it. So I'll upload it at the end of next week once I've contextualised it and added more (and taken some bits away) to make it make sense within the framework that it's supposed to exist. It's been a few days since an update. 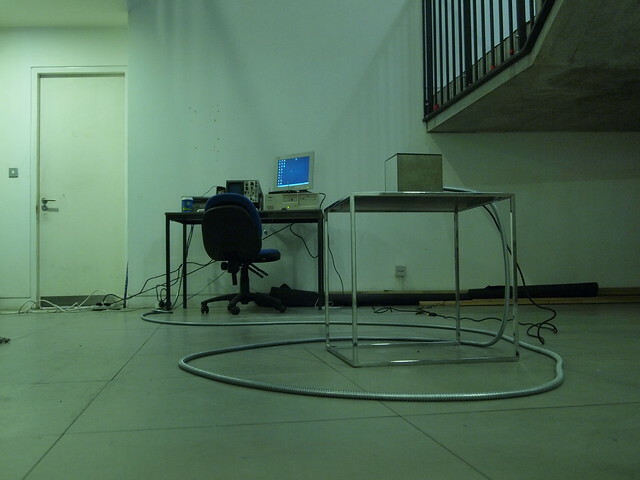 I've been busy helping Ben Oliver in his preparation for the RCA final show in two weeks. He's doing some interesting work on extra-sensory perception and out of body experiences. Mostly, I cut and stick bits of metal together in exciting ways. I've also done a short proposal for the upcoming Space In Between show hosted by my old BA course: Interaction and Moving Image at the LCC. They're becoming they're own BA from next year (the words on my BA certificate say I have a graphic design degree - I've been offered jobs based on those words alone) so it's kind of celebratory and it looks like it could be really good if the guys running it can pull it off. I'm submitting a relatively unadventurous Max MSP patch which I'm hoping to get down to writing next week. Should be good as long as I can find a computer that'll run it. The other thing of course, is the dissertation. Submitted the first 5000 words last night. Pretty heavy stuff that dominates the forefront of my thinking. I'm really hoping to reel it in to my work over the summer and next year, either as form or content. I'm flying out to Venice for the Biennale next week as well and I'll have lots of photos from that - no doubt. Two years ago was amazing and I'm hoping the same for this year. Still planning for Geneva in August, although it is debilitatingly pricey.